If your keyboard is on a standard 30"-tall desk and your arms or shoulders ache, your keyboard may be too high. 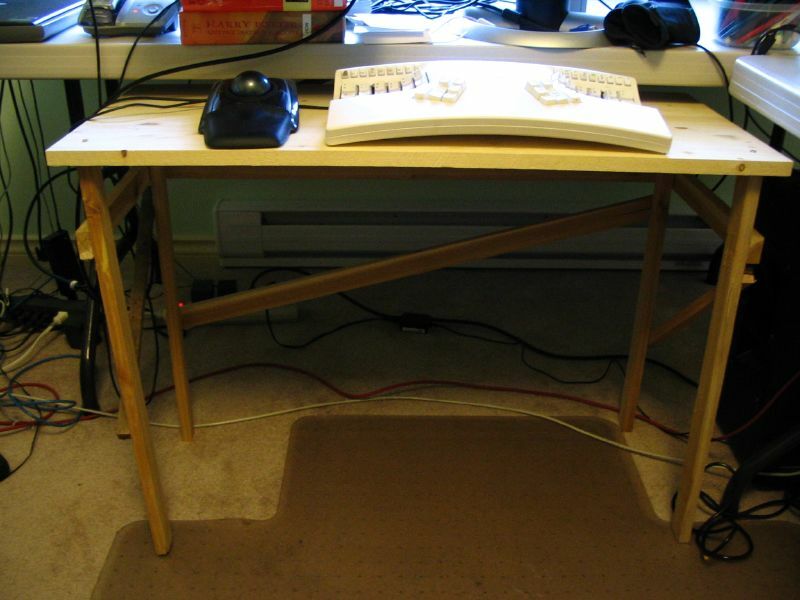 There are various ways to position your keyboard lower, such as: installing a keyboard tray, raising the seat (and using a footrest), or buying a height-adjustable table. 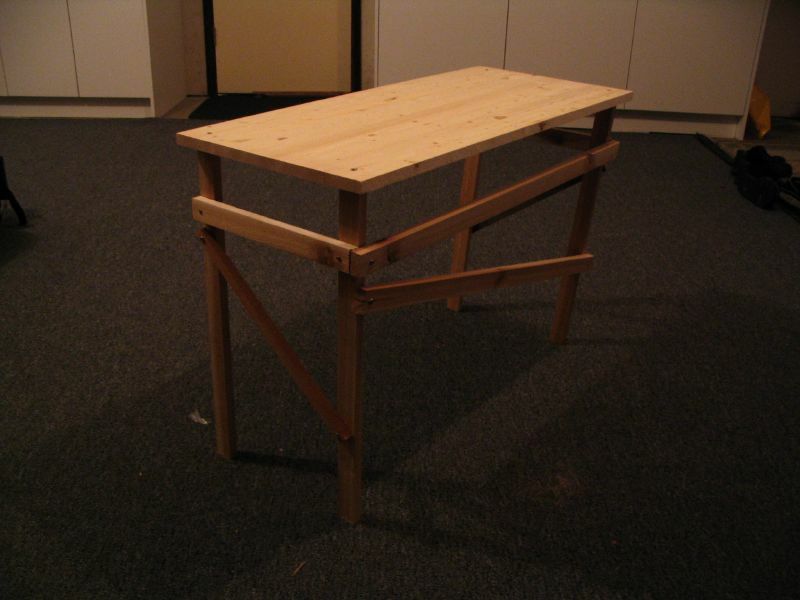 But if these solutions are too costly or unworkable, you can always make your own keyboard table. It doesn't have to be a work of art - it just has to be the right height (26" in my case). The diagonal pieces are important - without them the table will flex and fall down. Screw all the pieces together, add keyboard, and enjoy comfortable height-optimized keyboarding. Note: This will actually take a few hours and will make you hungry. I recommend a bagel before or during. posted by Jonathan at 7/14/2008 09:16:00 p.m.
By Anonymous, at 7/22/2008 5:00 p.m.
By Jonathan, at 7/22/2008 6:54 p.m.